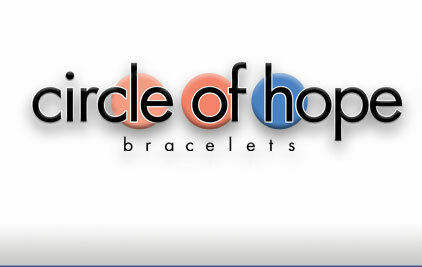 Since our founding in 1999, Circle of Hope Bracelets has given over $3 million in donations to more than 100 cancer charities. The following 41 organizations have received donations of $5000 or greater. *We designate profits from Patriotic bracelet sales for donations to the Backstoppers, a St. Louis organization that provides needed support and financial assistance to the spouses and children of police officers, firefighters, and related professionals who have lost their lives performing their duty.